Are you making simple advertising mistakes that are costing you a lot of money from your marketing budget. Read this article to find out what the most common advertising mistakes are and how to stop making them. Whatever business you have, you will need to advertise your products and services. This can be very expensive if you do it wrong, so here are some advertising mistakes to avoid to give you better results from your marketing efforts. You work hard for the money that your home business generates so it will be a lot better for you if more of your advertising budget works better to give you a higher return on investment. If you are getting frustrated from the results you are currently getting, you may be making some simple advertising mistakes. Don’t panic, that is where I am here to help you turn your advertising fortunes around by sharing some tips on how to market your business online, more effectively. The Size Of Your Audience – This is a fundamental mistake that people make. There is a saying that if you “try and sell to everyone, then you will sell nothing”. It may be that the audience you are targeting is too big. So you need to be more specific. You need to create an avatar of your ideal customer. If that is a middle aged man, with a wife and 2 children and earning $50,000 a year and maybe likes golf, then this is what you marketing needs to reflect. It will make your marketing budget more efficient and ultimately will cost you less money and potentially give you better results. Focusing Only On The Features Of Your Product – This is a common mistake. Yes people like to know the features of a product but they are more interested in the benefit it has to them. In your marketing you should focus more on the benefit the customer is going to get from purchasing your product or service. Take a car for example. Instead of saying it has air conditioning and leaving it at that, you should say that the “climate control will keep you cool and stress free in the hottest of conditions“. That is the benefit of buying this car. Are You Tracking Your Marketing Campaigns? – You must remember that it is money that you are spending in order to attract business to your company. Simply throwing money at the wall and seeing if it will stick is not the way to go forward. You need to use sophisticated tracking software with all of your campaigns. This is how you will determine if your campaigns are winners or losers. Within the settings you can choose what platforms you are using, which landing pages or sales pages you are advertising, the value of the product which will give you your earnings per click or (EPC). Using tracking software will give you a clearer picture of where you are making money and where you are losing it. 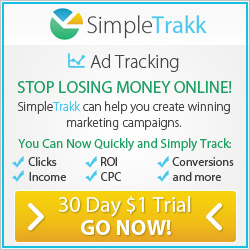 Click on the banner below to open up a free account with Simple Trakk today and start to monitor your marketing efforts. Where Do Your Customers Hang Out? – By now you should have your avatar in place, you know your ideal customer, but where do they hang out online. Advertising in the wrong place will seriously eat away at your marketing budget. Are your customers on Facebook, or Pinterest, Twitter or Instagram? This is where you need to do some market research into finding out where they are, when they are there and then target them. What Is Your Call to Action? – You need to tell people what to do. It may seem obvious to you but you are not the one who is clicking on your advert. You need to have a clear and concise call to action. If you want someone to opt-in to your email list then put a big button on your page that says “Subscribe Here“. If you want someone to buy something then the same principle applies, but this time the button would say “Buy Now” or “Add To Cart“. At some point everybody who has an online business will have made these advertising mistakes, you are not alone. 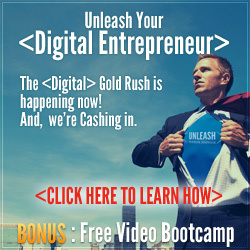 If you truly want to learn how to become professional online marketer then check out the resources and training programs that the Six Figure Mentors offers. 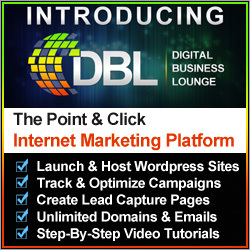 They are an online business education organization and will help you turn your marketing efforts around so that you can create a profitable online business. Click the image below for more information regarding the Six Figure Mentors. I hope that this post on advertising mistakes has really helped you and you can relate to what I have shared. 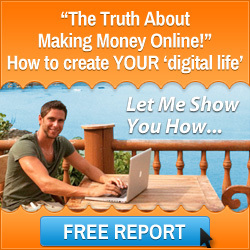 If there is anything else that I can help you with your online business then please contact me here. I wish you every success in running your home business from anywhere in the world and advertising your business successfully. This entry was posted in Digital Marketing and tagged advertising mistakes, mark ford. Bookmark the permalink.